When we go out on our service calls, we frequently notice that many homeowners overlook the importance of routine inspections and maintenance. It is very unfortunate that these homeowners have neglected to take proper care of their residential steel garage doors, as these are an important piece of their home, which is a fairly sizable investment that should be protected. Here at Action Garage Door Repair Specialists, we want to make sure that our customers practice prevention when it comes to the avoidance of major repairs. Residential steel garage doors are very durable and reliable, and that is likely the reason that you made a wise investment in utilizing them in your home, but they still can benefit from regular inspection and maintenance. 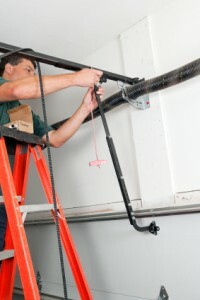 Regular inspections can help us identify any minor issues that may eventually become major repairs if left unchecked. Regular maintenance can also ensure that your garage door continues to function the way it did when it was first installed. Make sure you are taking care of your residential steel garage doors by calling the Houston garage repair experts at Action Garage Door Repair Specialists. Scheduling an appointment is fast and easy, and you will certainly be pleased in gaining the peace of mind that comes with inspection and maintenance from a company that has been in the business since 1984. We believe that our services can be of great benefit to you, so contact us today at 713-589-5090.